An infectious disease can certainly be a scary thing. Take for instance, the Legionnaire’s disease outbreak that has plagued New York City since early July. According to the most recent reports from New York City public officials, there have been 10 deaths associated with Legionnaire’s disease in the South Bronx and 100 hospitalizations from this disease since the outbreak began. It isn’t the first time Legionnaire’s disease has made headlines throughout the U.S. Last December and in early January there were 12 reported cases of Legionnaire’s disease. In 2012, two deaths at the JW Marriott Chicago hotel in downtown Chicago were linked to the disease. There are an estimated 8,000 to 18,000 hospitalizations from Legionnaire’s disease every year in the U.S., according to the Centers for Disease Control and Prevention. Approximately five percent to 30% of cases will result in death from the disease. Legionnaire’s disease is considered a serious and oftentimes fatal lung infection or pneumonia caused by the bacteria species called Legionella pneumophila. In 1976, the disease and bacteria were named after an outbreak at an American Legion convention in Philadelphia, Pennsylvania. The infectious bacteria disease is also sometimes called Legionellosis. In the South Bronx, the outbreak has been traced to five cooling towers that tested positive with Legionella. The towers have since been decontaminated. Water-cooling towers have long been considered a popular breeding ground for the Legionella bacteria, as it thrives in warm freshwater. Outbreaks have been known to spread from water systems, whirlpool spas, or air conditioning systems—especially in hospitals and hotels. Other common locations for the bacteria include hot tubs, swimming pools, showers, humidifiers, fountains, and mist sprayers. Legionella bacteria will also reside in natural waters like rivers, streams, creeks, lakes, and hot springs. This type of bacteria grows in water temperatures that are between 68 and 113 degrees Fahrenheit. Although people can inhale contaminated Legionella water droplets in the air, Legionella exposure won’t necessarily lead to the illness. The disease is not contagious, and it will primarily affect people with weak immune systems, including those with cancer, human immunodeficiency virus (HIV), and acquired immune deficiency syndrome (AIDS). People older than 65, smokers, alcoholics, lung disease patients, and chronic kidney failure patients are at a greater risk for contracting Legionnaire’s disease. The initial Legionnaire’s disease symptoms, which occur in the first two to 10 days after the condition is transmitted, include mild headaches, fatigue, muscle pain, chills, and a high fever that can rise to 100 degrees Fahrenheit or greater. Once the bacteria infect the lungs, pneumonia may develop. In that case, symptoms include a bloody or mucus-filled cough, chest pains, diarrhea, vomiting, and shortness of breath. The person may also experience mental disturbances, such as confusion. Legionella may also cause a mild form of the disease called Pontiac fever. It is similar to a mild flu and it will often go away quickly without any treatment. The key to prevent Legionnaire’s disease is regular maintenance of water systems susceptible to bacteria, including water-cooling towers, hot tubs, and other plumbing systems. Make sure your hot tub has the proper pH and disinfectant levels. 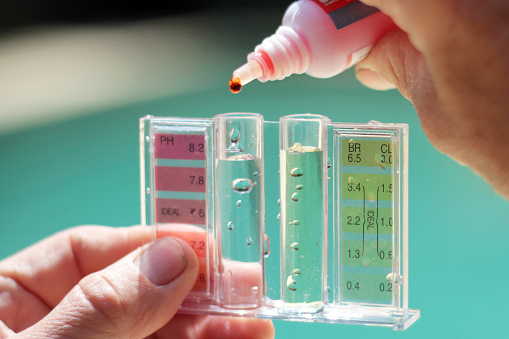 Use pool test strips to test your hot tub water for chlorine at two to four parts per million, bromine at four to six parts per million, and pH levels at 7.2 to 7.8. Cold water systems should be less than 68 degrees Fahrenheit, and hot water systems should be over 140 degrees Fahrenheit. If Legionnaire’s disease is not treated, it can lead to life-threatening complications, such as respiratory failure, septic shock, and kidney or multi-organ failure. The main Legionnaire’s disease treatment is antibiotics. The most common antibiotics used to treat Legionnaire’s disease include macrolides like azithromycin, and fluoroquinolones such as levofloxacin, ciprofloxacin, gemifloxacin, and moxifloxacin. Doxycycline and trimethoprim/sulfamethoxazole are other antibiotics used to treat Legionnaire’s disease. Erythromycin was once the most-used antibiotic for Legionnaire’s disease; however, it has since been replaced with less toxic antibiotics that have greater potencies. Tea tree essential oil: In a 2009 study published in the Journal of Microbiological Methods, researchers suggested that tea tree oil could be an effective anti-Legionella disinfectant to help control water system contamination in such places as spas, small waterlines, and respiratory medical devices. Cinnamon essential oil: Cinnamon oil is another effective essential oil. A 2008 study published in the journal Water Research found that cinnamon oil and its major constituent, cinnamaldehyde, has antibacterial properties that can help control Legionnaire’s disease. Other studies show that cinnamon oil can help disinfect Legionella growth in recreational spring water and water-cooling towers. Olive leaf extract: Olive leaf extract contains antibacterial and antiviral properties that help counteract strains of bacteria, such as Legionella. Olive leaf extract will help fight sore throats and pneumonia symptoms. Anise seed tea: Anise seed tea can help reduce the respiratory symptoms associated with Legionnaire’s disease. It can also help decrease the severe cough that is linked with Pontiac fever. Other herbal teas, including chamomile, catnip, and Echinacea, can boost the immune system and reduce fevers. Ginger: The antibacterial and anti-inflammatory effects of ginger can help counteract the symptoms of Legionnaire’s disease. It is a good idea to combine citrus fruits, like oranges or lemons, with ginger to help you get your energy back. Hot and cold packs: Cold or hot packs will help stimulate blood flow. In turn, the treatments will soothe muscle pain and soreness. This method helps encourage relaxation and overall healing. Fishbein, R., “10 Dead, 100 Hospitalized In Legionnaires’ Outbreak In The Bronx,” Gothamist web site, August 7, 2015; http://gothamist.com/2015/08/07/legionnaires_bronx_10_dead.php. Mondello, F., et al., “Determination of Legionella pneumophilla susceptibility to Melaleuca alternifolia Cheel (tea tree) oil by an improved broth micro-dilution method under vapour controlled conditions,” Journal of Microbiological Methods, 2009; 77(2): 243-248. Chang, C.W., et al., “Influence of pH on bioactivity of cinnamon oil against Legionella pneumophila and its disinfection efficacy in hot springs,” Water Research, 2008; 42(20): 5022-5030. Chang, C.W., et al., “Antibacterial activities of plant essential oils against Legionella pneumophila,” Water Research, 2008; 42(1-2): 278-286. Krucik, G., “Legionnaires’ Disease,” Healthline web site, July 9, 2012; http://www.healthline.com/health/legionnaires-disease#Overview1. “Home Remedies of Legionnaire’s Disease,” Organic Facts web site; https://www.organicfacts.net/home-remedies/legionnaires-disease.html, last accessed August 11, 2015. Marston, B.J., et al., “Incidence of community-acquired pneumonia requiring hospitalization. Results of a population-based active surveillance Study in Ohio. The Community-Based Pneumonia Incidence Study Group,” Archives of Internal Medicine, 1997; 157(15): 1709-1718. “Legionella (Legionnaire’s Disease and Pontiac Fever): Prevention,” Centers for Disease Control and Prevention web site; http://www.cdc.gov/legionella/about/prevention.html, last accessed August 11, 2015. “Legionnaire’s disease,” NHS Choices web site; http://www.nhs.uk/conditions/legionnaires-disease/pages/introduction.aspx, last accessed August 11, 2015. “About Legionnaire’s Disease and Pontiac Fever and Getting The Help,” Cool Mist Humidifier Reviews web site; http://coolmisthumidifier.org/legionnaires-disease-and-pontiac-fever/, last accessed August 11, 2015. Bush, L.M., et al., “Legionella Infections,” MSD Manual web site; http://www.msdmanuals.com/professional/infectious-diseases/gram-negative-bacilli/i-legionella-i-infections, last accessed August 11, 2015.